The Exo Terra Terrarium Decor Cleaner is formulated to remove the most stubborn organic stains and odors caused by reptiles or feeder animals, without any risk to your pet reptile. 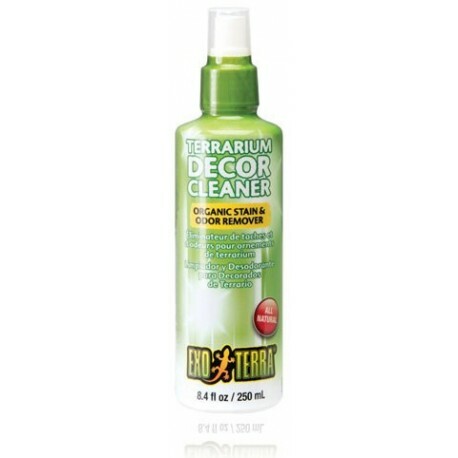 The Exo Terra® Terrarium Decor Cleaner & Deodorizer is formulated to remove the most stubborn organic stains and odors caused by reptiles or feeder animals, without any risk to your pet reptile. 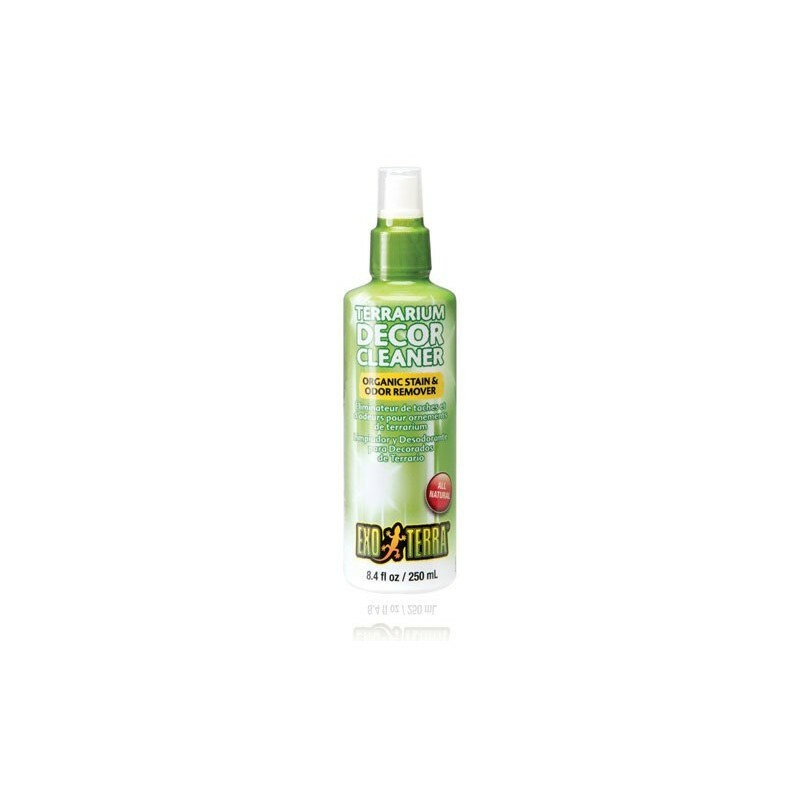 Biodegradable ingredients, including naturally derived bacterial cultures and fermentation extracts, have been combined to remove a large range of organic stains and odors from all types of surfaces.